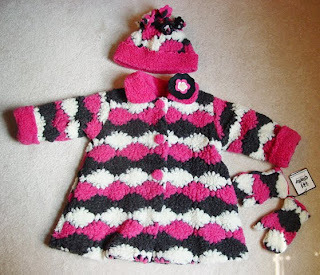 This winter’s forecast calls for backward looks, as some of the most adorable girl’s coats are definitely retro. The trend in winter girl’s jackets and coats is towards bright, colorful prints done in classic silhouettes. The colors are fun, quirky, funky and plain fun! 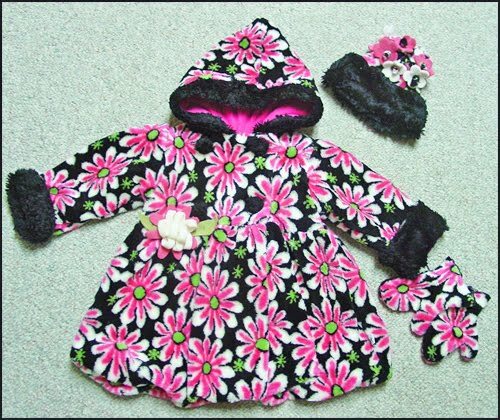 Corky & Co really pushes pink and black in several signature prints like this Black and pink “Coming-Up Daisies” Mary jane Coat shown above. 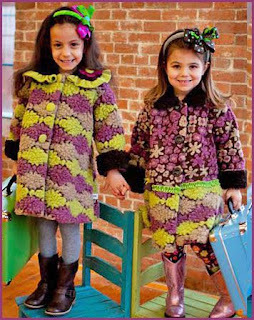 Corky & Co really hits the stride when it adds other colors like purple and green and mixes-it-up with bold plaids and prints to create fun little girls winter coats.